Gauri Khan doled out a fashion tip for her followers on Instagram and her husband Shah Rukh Khan (who follows Gauri on the photo sharing app) took her advice. 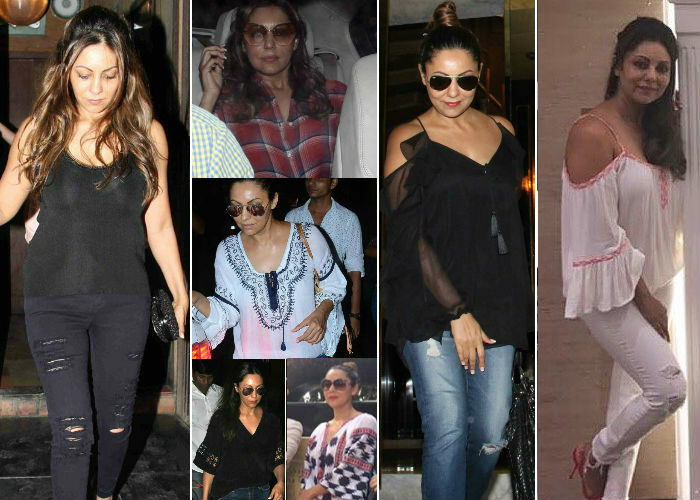 Gauri Khan, an interior decorator by profession, looks effortlessly stylish in most of her outings. For 2017, Gauri singled out 'blue jeans and a t-shirt' - she said in the caption of the picture she instagrammed. 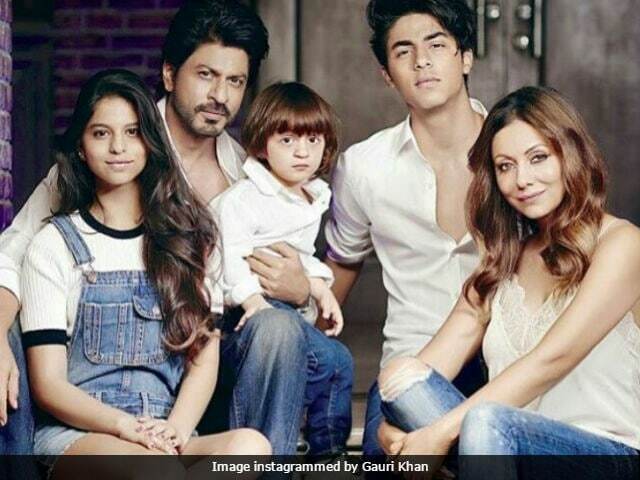 Few hours later, Shah Rukh shared a collage featuring the pic Gauri shared and one of his own with their youngest child AbRam, 4, dressed in similar clothes (yes, blue jeans and a tee). SRK captioned the post: "Thanks for the tip ma'am we are all set for 2017 too then." Blue jeans and a t - shirt ... my look for 2017. Gauri Khan can make heads turn with using clothing pieces readily available in your wardrobe. It consists of denims with tees, shirts, off-shoulder top or even kurtis. Here's a sample of Gauri's simple, chic and effortless styling. 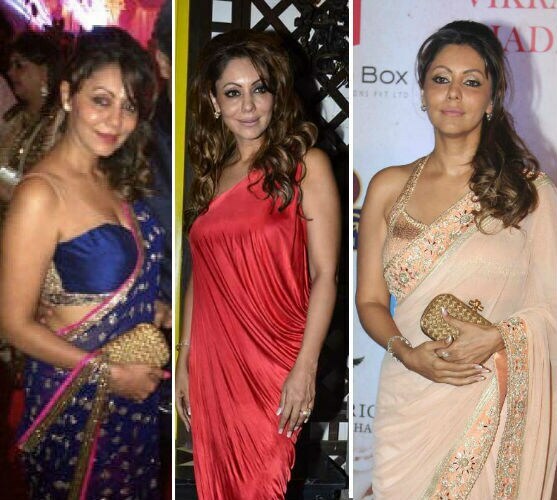 For parties and social events, Gauri Khan's panache is a tough to match. Gauri carries herself with elan irrespective of the style she opts for - traditional, contemporary or even a blend of the two. Shah Rukh Khan married Gauri in 1991 and together they have three children - sons Aryan, 19 and AbRam, 4 and daughter Suhana, 17. Aryan graduated from London's Sevenoaks School and is currently studying film at the University of Southern California. Suhana, who is studying in Mumbai's Dhirubhai Ambani International School, wants to become an actor and may also enroll abroad for higher education. Shah Rukh Khan was last seen in Raees and his next film, Jab Harry Met Sejal, will release on August 4. SRK also has a cameo in Salman Khan's Tubelight, opening in theatres on June 23.